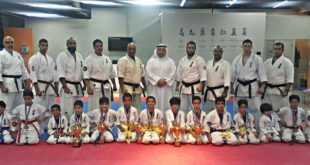 The Kuwait Committee of Kyokushin Karate derived from the Kuwait Olympic Committee held the 1st International Kyokushin Karate tournament on the 6-7 July 2012 in the Kuwait Judo and Taekwondo Federation. 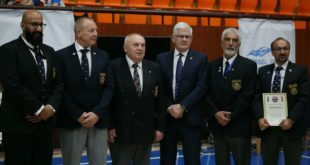 The KFK would like to thank the British Kyokushinkai Karate represented in Shihan Alex Kerrigan, Shihan Nick Da Costa and Shihan David Pickthall given authority of Hanshi Steve Arneil for all the hard work and support. 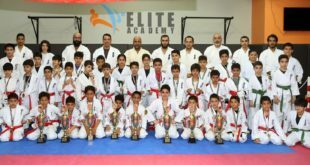 Shihan Alex Kerreigan of BKK and the IFK Chief Referee for Knockdown held during his visit to IFK Kuwait hold a course on the 2nd, 3rd and 4th of July for the KFK which was an excellent experience in all standers. 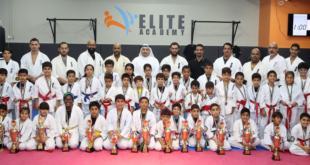 Finally we thank our KFK Fighters Salim Al Rashid, Jassem Malik and Talal Al-Manasser for taking part in this tournament and the high level of fighting skills and spirit which they had.